If you are engaged to be married or will soon be engaged, a big decision looms: where to hold the wedding. Your wedding is a monumental life event that you, your family and friends will remember forever. 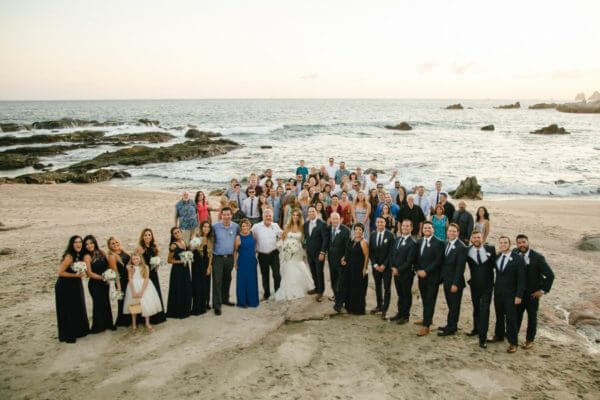 Opt for a destination wedding in Cabo and everyone will have an absolute blast. Cabo weddings allow for immediate honeymooning, endless fun for family and friends and the opportunity to enjoy a glorious setting while celebrating your love. Cabo is located at the edge of the Baja peninsula in Mexico. Your loved ones and friends won’t have to travel far to reach this exotic wedding destination. Plenty of celebrities head to Cabo for weekend getaways. This easily accessible location can be reached without extensive travel. It is a quick flight from the major US airways. Cabo is perfectly positioned amidst gorgeous desert scenery, the Pacific Ocean and the Sea of Cortez. Just about everyone loves water, especially the lovely blue hue of the Sea of Cortez. This wedding destination has it all, from tall palm trees to comforting ocean breezes, lovely sandy beaches and breathtaking views. Your party can lounge on the beach, take a dip in the water, hop on a boat or snap photos from the comfort of their villas. 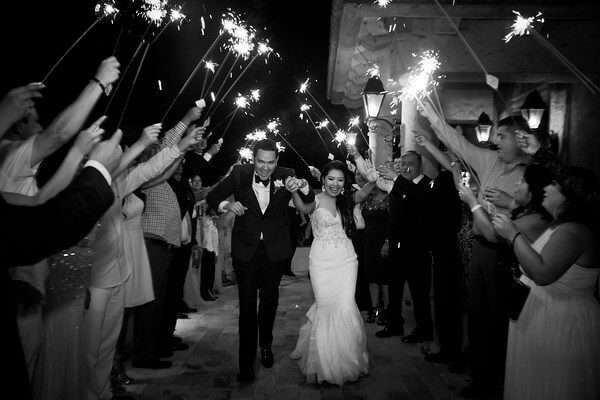 Your guests will feel perfectly safe when spending time in Cabo for your wedding celebration. The most significant safety concern is a sunburn. Cabo really is that safe. Though Mexico has developed a bit of a reputation as a dangerous area, Cabo is widely revered as the country’s safest tourist destination. Locals are friendly, the crime rate is low and the focus is on having fun rather than self-preservation. Wouldn’t it be nice to start honeymooning immediately after your wedding ceremony? It is possible with a Cabo destination wedding. Just about everyone who weds in Cabo stays for a lengthy honeymoon. Cabo is the perfect place to relax, spend quality time with your spouse and celebrate your love. This wedding destination is chock full of luxury resorts that will pamper you and your sweetie exactly as you desire. 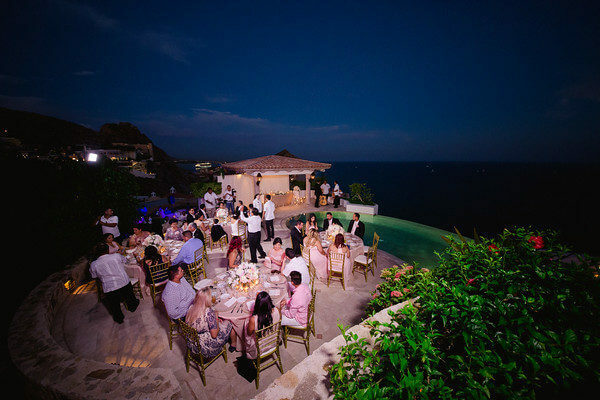 Cabo resorts also provide all sorts of upscale niceties for your wedding guests to enjoy. Everything from spa treatments to dining at award-winning restaurants, cruises and chic nightclubs are available to the newly married couple and wedding guests. The last thing you and your guests want for the big day is a thunderstorm, overcast skies, hail or any other form of precipitation. Cabo has absolutely perfect weather. This popular wedding destination is known for its incredibly sunny days, minimal wind and cloudless skies. 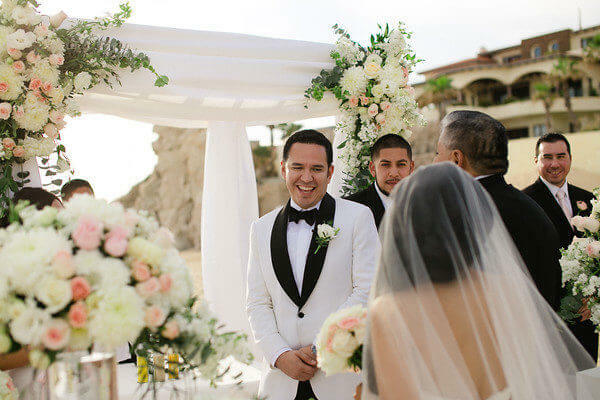 Enjoy a Cabo wedding and you won’t have to deal with weather troubles that interfere with hair, makeup, attire, centerpieces and other niceties of the celebration. Cabo is warm and sunny for nearly the entire year. Though August and September tend to be comparably hot and rainy, the other 10 months of the year are absolutely flawless when it comes to weather. Cabo appeals to people of all interests and backgrounds. Whether your Cabo wedding guests are looking for world-class beaches, lavish resorts, scrumptious cuisine, surfing, snorkeling, paddle boarding, nightclub parties, fishing, ocean access or magnificent sunsets, Cabo has it. The best part is that each of these activities can be enjoyed on absolutely gorgeous days. 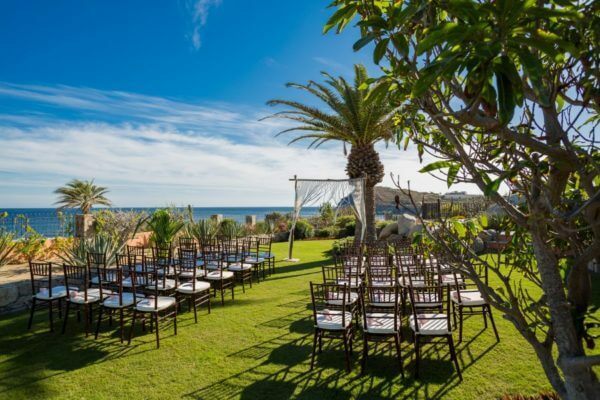 Cabo receives year-round sunshine, making it the perfect place to hold an unforgettable wedding celebration. Cabo is an upscale and visually spectacular location and is relatively easy to travel to from most states in the United States. The natural beauty is free to enjoy and will keep friends and family in awe while providing the perfect backdrop for a ceremony, reception, and photos. Also, guests will have the opportunity to enjoy vacation time in Cabo during their stay – a wedding and a vacation – two unforgettable opportunities in one! Part of the reason to attend a wedding is to enjoy a unique experience that is savored for years to come. 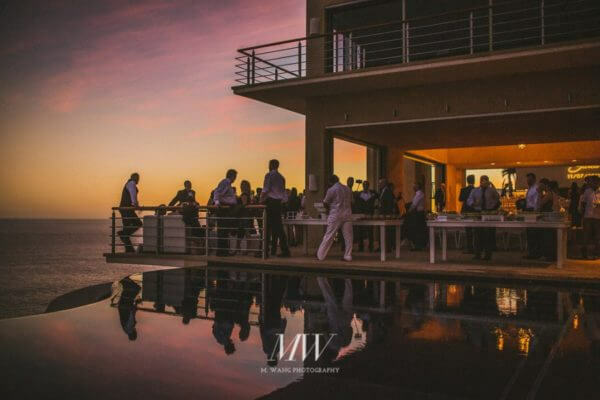 Invite your guests to your Cabo wedding and just about everyone will jump at the chance to celebrate your love in this beautiful setting. The glorious scenery will make the wedding’s visuals indelible. Furthermore, your guests will have at least another day or two to enjoy everything Cabo has to offer. Guests will savor the experience as well as the memories for years to come. This entry was posted in BEACH WEDDING, CABO WEDDINGS, DESTINATION WEDDINGS, WEDDINGS VENUES and tagged Los Cabos Wedding.